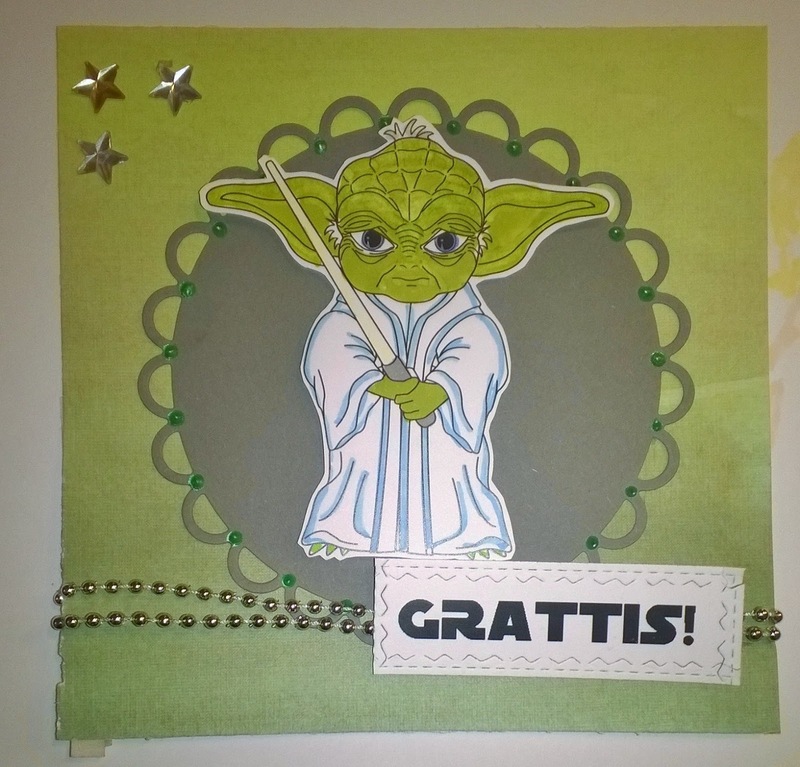 Cards by Jessi: Yoda gratulerar! 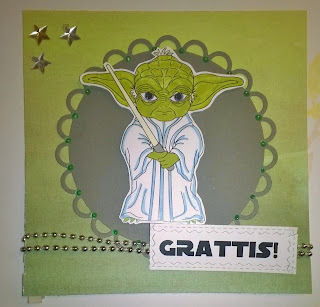 Jag har färgat min Yoda med Promarkers och deltar med honom i följande utmaningar: Sweet sketch wednesday, Passion for Promarker (Sparkle and Shine: the "ribbon" is actually very bling-y as are the stars), Craft Your Passion (ATG), Creative Craft Cottage (3 of a kind) och Fussy and Fancy Friday (Birthday). Oh this is fabulous Jessi...I've always been a Yoda fan!! Thanks for sharing this wonderful card with us at Fussy and Fancy...good luck! Wow your card is very monochromatic this week. What a perfect masculine card. Great card and thanks so much for sharing it with us over at Sweet Sketch Wednesday 2 and good luck. Just brilliant Jessi.Fabulous fun image and I love your design. So much fun, a really charming card. Lovely fun image and design. A new fun challenge is up over at PFP challenge. Thanks for playing with us last week. Ahhh! This is great! Yoda is one of me favorite characters! Fabulous card! Thank you so much for sharing your creation with us at Fussy and Fancy Friday Challenge. Good luck and hope to see you next time too!